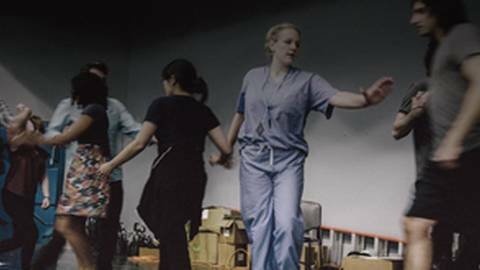 Lillian Frances, owner of Laugh Out Loud Theater, demonstrates how learning improv comedy can change the way physicians interact with patients. Medical schools are increasingly adapting improv tools to enhance patient interviewing, simulate difficult conversations and facilitate learning in medical teams. Research has shown that such training can enhance physician-patient communication and improve diagnostic accuracy, patients’ adherence to treatment, and overall patient satisfaction. Host Dr. Michael Greenberg chats with Lillian Frances, owner of Laugh Out Loud Theater in Chicago, about how improv comedy training and the phrase “yes and” can improve your skills as a health care provider.